The world number 85 reflects on a career-best run at the Coral Scottish Open and looks ahead to 2017. Sean, you reached the last 16 of a ranking event for the first in Glasgow – how would you sum up that tournament? When I got there I just wanted to win one match and get some prize money under my belt because I had been struggling a bit for results. I beat Robbie Williams 4-1 and after that I was more relaxed and got two more 4-1 wins against Mark King and Mitchell Mann. I played well and made some good clearances. Then I played Yu Delu and I felt I was a bit unlucky to lose 4-3. I was 3-2 up and had a chance to win. I was in the balls with one red left and I potted the blue to canon it away from the pink, but caught it just too thin and snookered myself. Yu ended up winning that frame and then he didn’t really give me a chance in the decider. Overall it was the most consistent good snooker I have played during a tournament. If I had beaten Yu I felt I could have done more damage and pushed on further. How much confidence does that give you going into the second half of the season? It gives me a boost because I proved to myself I can beat some very good players. Any player knows you just need one good run at the right tournament and it can send you up the rankings very fast. It’s shame I haven’t got another tournament now for a few weeks because I would have liked to keep the momentum going. But I’ll be practising to make sure I’m ready for the next one. I’d like to get into the top 64, or the next eight on the one-year list, to keep my tour card. I’m quite far off the top 64 at the moment but it only takes one good week. The Shoot Out for example is an opportunity for players like me to make a big jump. Do you feel you are becoming a better player year by year? I’m only 22 but I don’t think of myself as one of the younger players. I have already been around the tour for a few years and I’ve got an old head on young shoulders. I have a good tactical game and my safety has improved a lot this year. So when I’ve got my scoring boots on I can win matches as I showed in Glasgow. 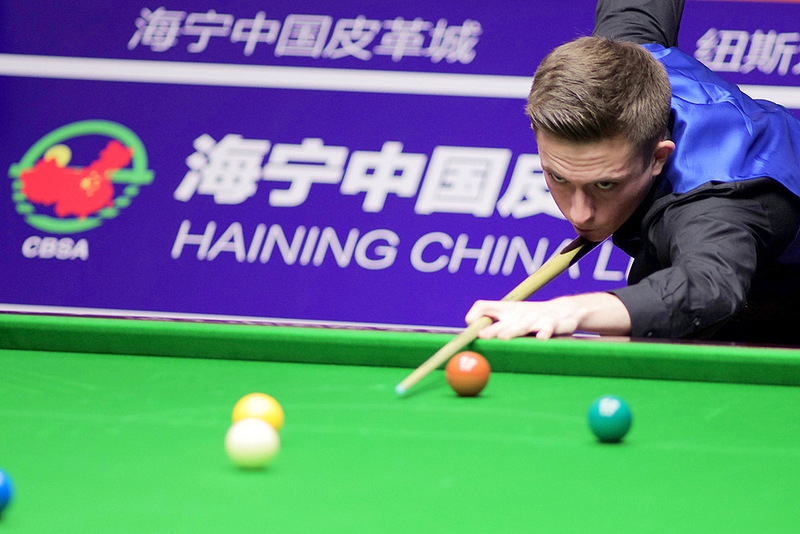 You have been drawn to play Ding Junhui in the China Open which means your match will be held over to Beijing, how much are you looking forward to that? It will be a fantastic experience to play Ding in front of his home crowd. I have played a few of the big names in PTC events but not that often in big ranking events. I always enjoy going to China and I seem to play well there.